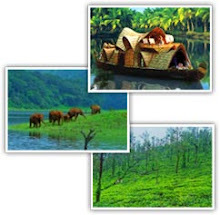 The Nehru Trophy Boat Race named after Pandit Jawaharlal Nehru is conducted on the Punnamda Lake, near Alappuzha, on the Second Saturday of August every year. On the day of this fiercely fought boat race, the tranquil lake front is transformed into a sea of humanity with an estimated two lakh people, including tourists from abroad for watching it. For the people of each village in Kuttanad, a victory at this race for their village boat is something to be celebrated for months to come. Jawaharlal Nehru, the first prime minister of Independent India visited Kerala in 1952. 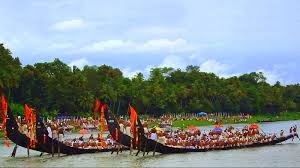 He was given a roaring reception by the people of Alleppey, escorted by the huge snake-boats. Having gone through the tremendous excitement of sailing in a snake-boat Jawaharlal Nehru donated a rolling trophy to be awarded to the winner of the race. 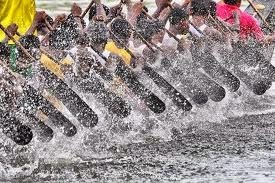 The trophy is a replica of a snake-boat in silver, placed on wooden abacus on which the following words are inscribed.